The HTC One M8 is one of the best smartphones on the market, even if it already received a successor in the form of the HTC One M9. Although a good number of One M8 users already have Android 5.0 Lollipop and a new Sense 6 UI on their device, they are still experiencing battery drain. The battery drain problem on the HTC One M8 has been a persistent one of both Android 4.4.4 KitKat and Android 5.0 Lollipop. Users of the device have complained that their battery life dropped dramatically, especially after updating to Android 5.0 Lollipop. We’ve scoured the forums to find a few easy solutions to the problems and identify what is causing the battery drain in the first place. A particular user complained on a forum that their HTC One M8 suffered a dramatic change in battery life after installing Android 5.0 Lollipop: from 48 hours of light use to 18 hours of virtually no use a day as a test. That dramatic drop is alarming for users, and with good reason, as phones should not have their batteries drained so much with no user interference. The culprit for this massive battery drain is surprising, and is actually a mixture between human error and app malfunction. When somebody has battery drain issues on their phone, regardless if it is an HTC One M8 or not, they tend to install battery monitoring and saving applications and they are prone to checking their phone every 5 minutes to see how much of the battery has drained. That combination is not a good one if your battery life has suddenly dropped. First off, waking your phone up that often takes its toll on the juicer within, so refrain from monitoring your phone that much. Secondly, battery monitoring apps usually do more harm than good because they wake your phone up more often and tend to consume a lot of power while doing their calculations and tweaks. 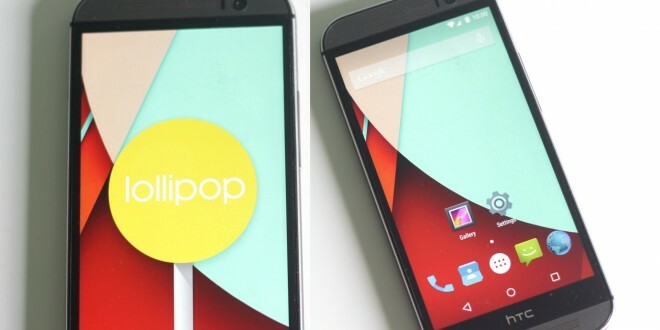 As these kinds of third party apps usually come with optimizing tools, they can interfere with the way in which Android 5.0 Lollipop works on your HTC One M8. That’s most likely caused by the fact that these apps haven’t been optimized for the new operating system, but it could also be bad app design in general, depending on where you get the app from. The easiest fix for this is removing the app and refraining from waking your phone up too often just to check the battery level. Battery Doctor was one of the apps people found as the culprit for battery drain on the HTC One M8, because it wasn’t optimized for Lollipop. The app actually stopped apps in their tracks, but since it wasn’t configured properly, it stopped apps that Lollipop would just restart quickly after. That means that your phone was constantly being woken up as apps were constantly restarting. Removing these kinds of apps or replacing them with ones that are optimized for the HTC One M8 on Android 5.0 Lollipop is the easiest solution. I would recommend avoiding all types of battery apps, but there certainly are good ones out there. Another surprising culprit for battery drain on the HTC One M8 is the alarm clock, because it keeps waking the system up to check if it needs to sound off an alarm. While that shouldn’t drain the battery too much, if you can’t find another explanation for your problem it might be better to avoid setting alarms on your phone for a while, until you get Android 5.1 and Sense 7.0, which will hopefully fix things. The usual fix for this kind of problem with battery life would be removing Facebook, Skype and other third party apps that use location services, push notifications and a constant internet connection to feed you your notifications. It’s just that simple, although not very convenient for social media buffs. I’ve found that since uninstalling Facebook and leaving only the Messenger app helped a ton with my HTC One M8 battery drain problem. It’s a small fix, but it can do wonders. If all else fails, start in safe mode, see if the issue is mended. If it is, then it’s definitely a third party app causing you trouble. See what uses the battery the most and uninstall it, or keep uninstalling things until you see an improvement.